We are thrilled to announce the six talented playwrights selected for the 2014-15 Groundbreakers Playwrights Group, a unique play-writing intensive for these individuals to collaborate and cultivate work, meeting once a week for 18 weeks. We received a record number of applications, and sincerely thank everyone who applied. The Groundbreakers Playwrights Group is now at the heart and soul of terraNOVA. Six years ago, we founded Groundbreakers to create a diverse and dynamic community of artists around our passion for nurturing innovative new plays. This group is now the only playwrights group in NYC that work directly with the playwright to set three draft deadlines, to cast their play with professional actors, and to structure feedback around their individualized needs. Meetings are weekly, attendance is mandatory, and as a result, each playwright becomes fully invested in the life of each play. Through this unique collaborative environment, a strong support network between the Groundbreakers playwrights emerges. After the 18-week program playwrights group, terraNOVA continues to work with each writer over time to identify potential producers and supporters of these plays. I am enthusiastically looking forward to working with all these incredible playwrights. ELIZA BENT is a performer / playwright / journalist. Her plays include: The Beyonce (commissioned by Austin’s Breaking String Theatre), Blue Wizard / Black Wizard (Incubator Arts Project and Other Forces 2014 festival), The Hotel Colors (Bushwick Starr), Karma Kharms (or yarns by Kharms) (Target Margin Lab at the Bushwick Starr). Her performance pieces include: Fire the Hire (New George’s Jam Festival), Toilet Time with Eliza Bent (Catch! 50, Great Plains Theatre Conference, “Little Theatre” at Dixon Place), Trumped! (Solo Nova Ones at Eleven) and Pen Pals Meet (Iranian Theatre Festival at the Brick). Bent is a MacDowell Colony fellow, a Bay Area Playwrights Finalist, a New Georges affiliated artist and a member of Project Y Writers Group. Bent is a senior editor at American Theatre magazine, a founding company member of the Obie-award winning company Half Straddle, and lives in Brooklyn. MFA in playwriting Brooklyn College. 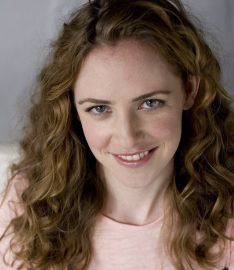 EMILY BOHANNON is a playwright and actress originally from Sandersville, Georgia. She is a 2014 graduate of the Lila Acheson Wallace Playwrighting Program at the Juilliard School under the direction of Chris Durang and Marsha Norman. She received an A.B. Drama from the University of Georgia, and was a Rockwell Scholar at the Einhorn School of Performing Arts, where she studied with Tanya Barfield, Julian Sheppard, Cusi Cram, Keith Bunin, and Dael Orlandersmith among others. 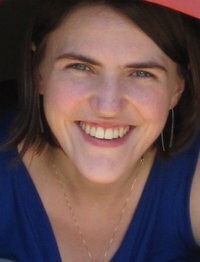 Her play, WATER ON THE MOON, was selected for Playwrights Week 2011 at the Lark Play Development Center, and she received a 2010 Artists Fellowship from the New York Foundation of the Arts (NYFA) for her play, THE DOG WATCHER. Most recently, her play, NOEL GALLAGHER'S GUITAR, was performed in the Juilliard Playwrights Festival, directed by Sam Buntrock. GEORGETTE KELLY is a playwright with one foot in New York and the other in Chicago. Her play Ballast is a finalist in the 2015 Alliance/Kendeda National Graduate Playwriting Competition, and was nominated for The Kilroys List 2014. Her play, F*ck la vie d’artiste recently received the Jane Chambers Student Playwriting Award at the 2014 ATHE Conference. Georgette’s other plays include: In the Belly of the Whale, How to Hero, I Carry Your Heart, and an adaptation of Jeanette Winterson’s novel, Lighthousekeeping. Her plays have been developed by The Kennedy Center, The National New Play Network, The Alliance Theatre, and The City of Chicago Department of Cultural Affairs. Georgette holds a B.A. in Performance Studies from Northwestern University and an M.F.A in Playwriting from Hunter College, where she studied with Tina Howe, Arthur Kopit, and Mark Bly. Read more at GeorgetteKelly.com. DAN KITROSSER is a playwright, screenwriter and storyteller. His work has appeared at The Barrow Group Theatre, P.S. 122, Urban Stages, 45 Bleecker Theatre, The Ohio Theatre, The Brooklyn Lyceum and Bryant Park. His plays include DEAD SPECIAL CRABS (opening at The Barrow Group Theatre), A FEW THINGS BEFORE I LEAVE YOU (O'Neill Semi-Finalist), theMUMBLINGS (Published on IndieTheatreNow). His play TAR BABY, which he co-wrote with Desiree Burch, has been presented at PS 122 by terraNOVA Collective, the New Orleans Fringe and played Off-Broadway at the DR2. He is currently adapting Justin Torres' novel WE THE ANIMALS for the screen, for which he was a 2014 Sundance Screenwriting Fellow. 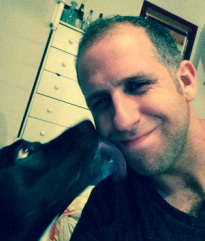 Dan was the founding Artistic Director of the Writopia Lab Worldwide Plays Festival and holds an MFA in playwriting from The New School for Drama, where he was the Harold and Mimi Steinberg Playwriting Fellow. www.dankitroser.com. ENRIQUE URUETA's plays include The Johnson Administration, The Danger of Bleeding Brown, Learn To Be Latina, and Forever Never Comes. He's a recipient of a Jerome Fellowship, a Walter Dakin fellowship at Sewanee Writer's Conference, and was an NEA Fellow at The MacDowell Colony. He received the New Works Fund award for Forever Never Comes from Theatre Bay Area and was a runner-up for the 2009 Yale Drama Series prize for The Danger of Bleeding Brown. 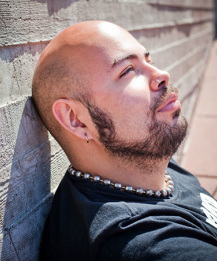 Learn To Be Latina won the inaugural Great Gay Play contest sponsored by Pride Films & Plays and was named Best Ensemble Comedy of 2010 by the SF Weekly, which also named him Best Up-And-Coming Playwright of 2010. He's currently a member of the Mission to Dit(MARS) 2014-15 Propulsion Lab. He has a BA in Theater from The College of William & Mary and an MFA in playwriting from Brown.